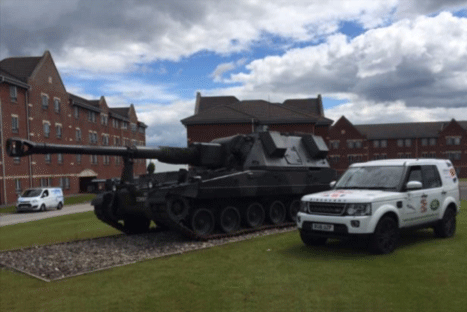 Our Jaguar Land Rover Military Shows are specifically targeted at Military personnel and their familes who are interested in purchasing a Jaguar Land Rover Product. The purpose of these road shows is to take our Military discount message on the tour. One of the greatest challenges for our team is to reach our customer base, we specialise in visiting our customers at work or home. Exhibiting at dedicated Forces events, families or open days, allowing our forces customers the opportunity to meet us face to face and find out more about Jaguar and Land Rover product or service that we have to offer. Our Military establishment shows consist of display utilising our fantastic vehicles, we capture people's attention. Bringing with us product literature vehicles and flags, we offer a swift set up time and were very flexible, should the occasion be altered at short notice. Showing our vehicles in an environment where everyone has something in common, after all not all our military customers are aware of the fantastic saving available on a new Jaguar or Land Rover product. Over a 12 month period, we travel across the UK and Europe in order to meet and engage with Hundreds of customers. The Marshall Military Sales road shows team have been a part of families’ days on Military establishments for over 15 years and offer our involvement free of charge. Organised by invitation, our team are standing by to help; we would love to attend your next familes day or event. The fully trained team have a proven track record for Military base access and the protocols involved, offering added reassurance when requesting our access. At Marshall we recognise the importance of supporting our customers in other aspects of their work and fund raising activities, and below are examples of how historically we have been able to do this. Marshall Military sales are proud to support the Falcons with the loan of a new Range Rover Sport, we are looking forward with interest to seeing the display's taking place in the forthcoming show season, Thanks also to Group Captain Group Captain Polly Perkins; Head of Establishment at RAF Brize Norton for the introduction and to Warrant Officer Paul Floyd RAF Falcons Team Manager for his support. 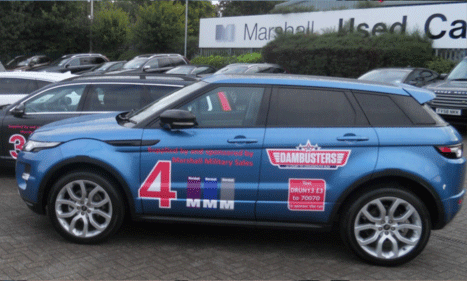 2016 – In 2016a Liveried Discovery form Marshall Military Sales went on tour with The Defence Discount Service, our special Discovery was used throughout the UK raising both the profile of the DDS and Marshall Military sales. 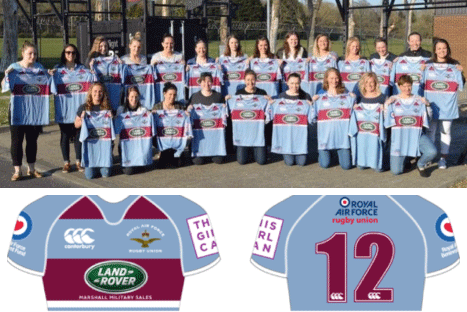 The RAFRUW 1st XV is almost exclusively composed of ‘Women’s Premiership’ Rugby Players. Whether it be for Litchfield or Saracens, Worcester or Wasps, you would be hard pressed to find a Premiership side that doesn’t included a RAFRUW player. Regularly featured on National Sports Channels and in the printed press, many RAFRUW players are gathering media plaudits and turning the heads of International selectors. 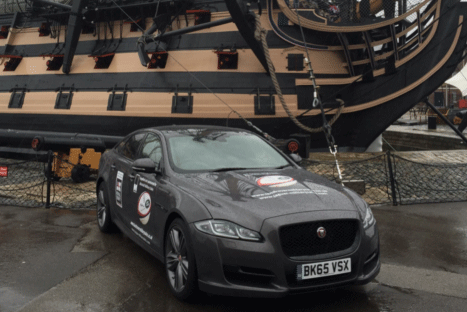 Marshall Military sales supporting the Royal Navy via the loan a stunning new Jaguar XJ this wonderful vehicle were loaned to Ash Coates, head coach of the navy rugby team, throughout the season Ash will be driving vehicle to each game and around his home base in Portsmouth. 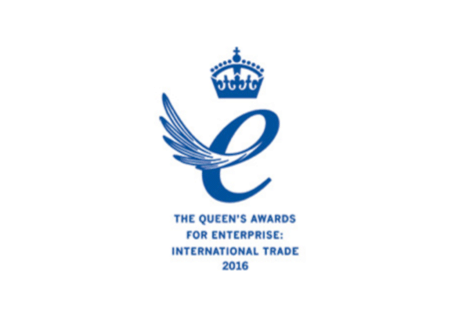 2016 Marshall Aerospace and Defence Group has won a Queen’s Award for Enterprise in the International Trade category. Marshall Aerospace and Defence Group celebrates 50 years of supporting the United Kingdom’s Royal Air Force’s fleet of Lockheed Martin Hercules C-130s. The ‘off-roading’ rally is organised by Keith Bowen and his son, Tim Price-Bowen and sets off covering a staggering 2000 miles through Europe following the path of the WW2 Allied Invasion. 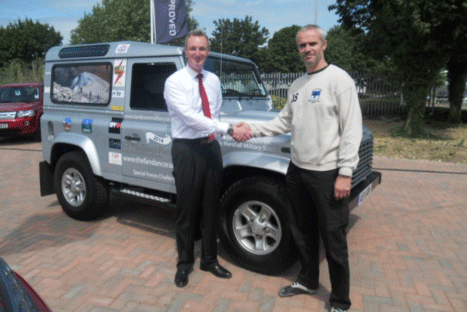 The Help for Heroes 4×4 European Rally, every year Marshall Military Sales support the H4H rally via a liveried Discovery for the event. 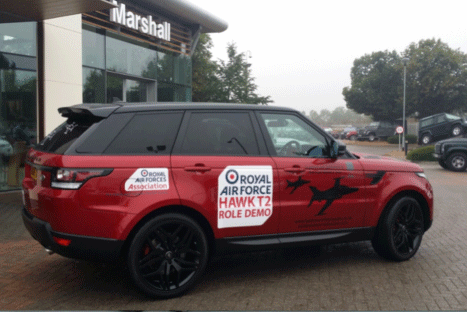 Marshall Military Sales has been a long-time supporter of military charities including Help for Heroes. 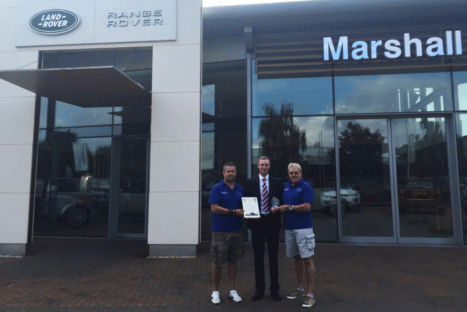 Keith said “Marshall's has been with us from Day 1 on our adventure known as the Help for Heroes 4x4 European Rally - which has seemingly become an annual even. From our perspective, as organisers and on behalf of the crews that take part, we remain hugely indebted to you for your magnificent support and association with the rally - a mega 'thank you'. 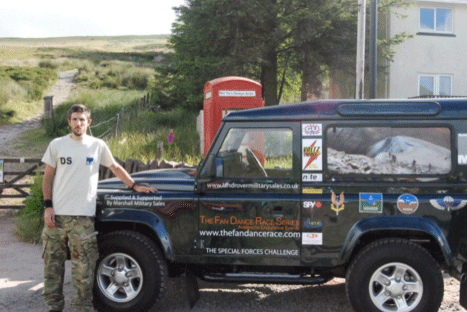 - Injured soldiers supported by Help for Heroes take part in epic 2000 mile 4x4 rally through 7 European countries over 13 days. 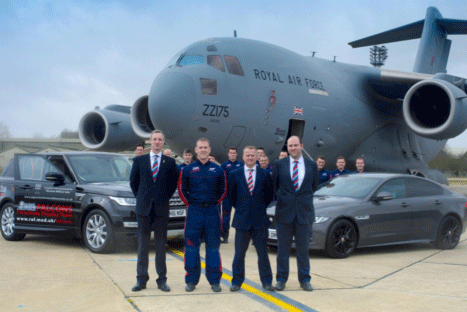 The Rally has raised £970,000 for H4H since 2010 and has now reached £1milion! The Hawk Display team is the public face of Number 4 Flying Training School (4FTS) based at RAF Valley on Anglesey and their full time mission is to train the Royal Air Force and Royal Navy combat pilots of the future. Marshall Military Sales have risen to the challenge by providing a special liveried Defender to support Ken Jones running up to this year’s Special Forces fan dance race. The event is a gruelling 24km non-navigational race over two sides of Pen Y Fan, the highest mountain in the Brecon Beacons. This infamous route has long been a part of SAS (Special Air Service) and SBS (Special Boat Service) Selection and is considered the yardstick of a candidate's potential to perform well on Test Week and ultimately pass the Special Forces Selection programme. Running up to and after this year’s event the Defender will play an integral part in preparations. On the 4th of October Military Sales delivered four livered vehicles to the organisers of this wonderful event, through our support in Marshalls, Richard was able to provide the vehicles, fuel and insurance for the support teams to follow the runners during the event. On Saturday 5 October, members of the legendary RAF No. 617 ‘Dambusters’ Squadron embarked on a heroic challenge to run 700 miles in just 7 days to raise money for our charity. The 700-mile route passes through landmarks in Dambusters history, and. The partnership with 617 Squadron has raised an estimated £180,000. Sarah Ball National Events Manager, Leonard Cheshire Disability. Many thanks to you and Richard for your help! 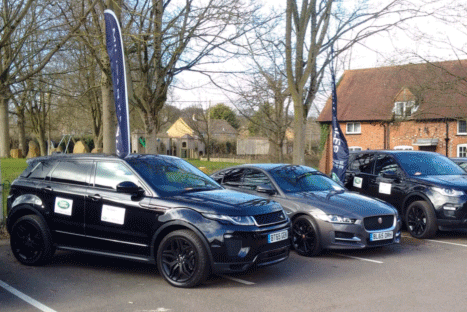 We really are very grateful for your offer of four vehicles to support the Dambusters Run. 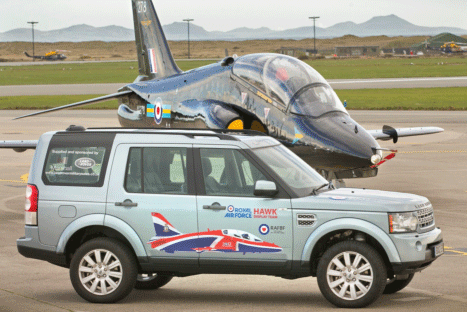 Marshall Land Rover Military Sales has been delighted to support the RAF Hawk Display Team by providing a Land Rover Discovery as part of the package to assist in transporting the pilots of the team. The Hawk Display team is the public face of Number 4 Flying Training School (4FTS), based at RAF Valley on Anglesey, and their full time mission is to train the Royal Air Force and Royal Navy combat pilots of the future.